I read this article and found it very interesting, thought it might be something for you. The article is called Veteran actress Sheela lashes out against new generation Stars and is located at http://www.panasiabiz.com/9391/veteran-actress-sheela-lashes-new-generation-stars/. 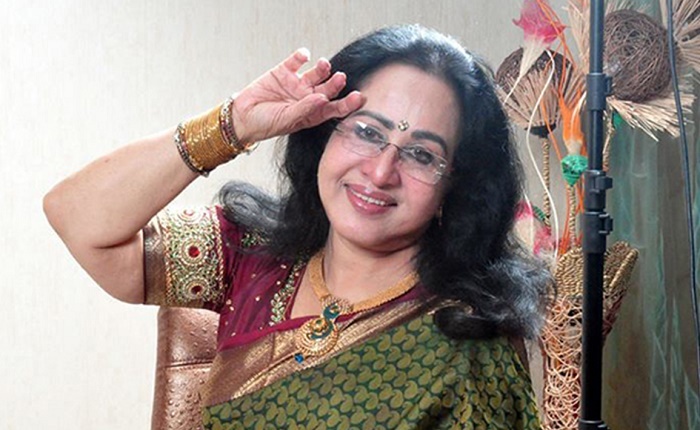 THIRUVANANTAPURAM – Sheela, the evergreen beauty in Mollywood is still active in the film industry even though she is 71. On July 17, 2016, during the title launch of Aneesh Anwar’s “Basheerinte Premalekhanam”, Sheela lashed out against the attitude of new generation young stars in Mollywood. As per Sheela, most of the people in Mollywood are youngsters, and they don’t used to talk or wish during the time of shooting. The “Chemmeen” star revealed that she used to mingle with everyone, but youngsters replied that they are maintaining some distance due to the respect they have towards this legendary actress. Sheela added that she used to get umpteen numbers of offers from various filmmakers, but most of them are being rejected due to scope for less performance. She made it clear that offers will be accepted if nice roles are being offered. Sheela has acted with Prem Nazir in 107 movies, and it is a Guinness world record. After halting her career in 1982, the actress made a strong comeback through “Manassinakkare” in 2003. From then, she has been busy with the works of movies and other television shows. Her last movie to hit the screens was “Palakkattu Madhavan“, a Tamil flick which had Vivek in the lead role. It was a moderate success in the box-office. From then, she has been busy with the works of movies and other television shows. Her last movie to hit the screens was “Palakkattu Madhavan”, a Tamil flick which had Vivek in the lead role. It was a moderate success in the box-office. Farhan Fazil is doing the lead role in “Basheerinte Premalekhanam”. He has previously acted in the critically acclaimed “Njan Steve Lopez” directed by Rajeev Ravi. In this movie, Sana Althaf will be seen romancing the young man. Other eminent personalities who attended the title launch event are Renji Panicker, Fazil, Fahad Fazil, Vijay Babu, Nasriya Nazim and Sandra Thomas. Even in Bollywood,many youngsters who have just debuted in TV serials and low-key movies already have an attitude problem. even before their show could release they think themselves as stars and do not behave properly with the seniors. The only polite and well behaved are the kids of celebrities who knows how a star need to behave and take blessings of seniors. Tamil actors Amala Paul and A L Vijay heading for a divorce?